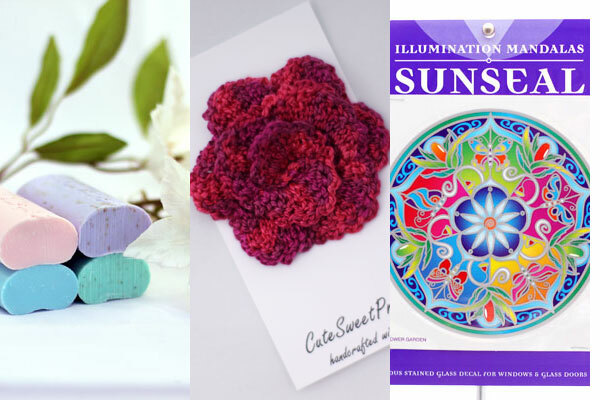 The Laura Soap & Gift Shoppe: A Giveaway! April is a busy month for us, with so much happening in the shop - Easter, the Laura Folk fair, Mum’s birthday, Wirrabara Producers’ market. It’s also the 1st anniversary of our website! This first year has really been about setting ourselves up and finding our feet. This coming year we’re hoping to build the range we offer on our site and continue to produce good content for this space. Every birthday deserves to be celebrated and to celebrate ours we’re running a giveaway! 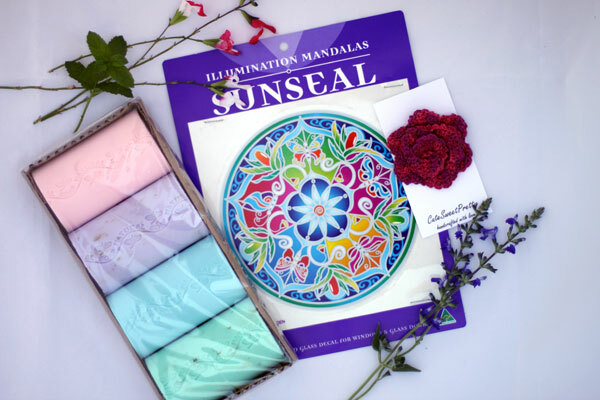 Valued at $25.90, the lovely prize includes:‘Spring’ Box of Four Vegetable Oil Soaps, a CuteSweetPretty brooch and a ‘Wildflower Garden’ Sunseal. Entries are opened till 30th April and we’ll announce the winner at the beginning of May. And if you’re the lucky winner, you’ll need to send us an email with your details, so we can send it off to you. I'm coming in this week to check out your hibiscus and cranberry hand cream... it sounds so yummy! I also love your felt cat brooches - my daughter wears hers all the time!